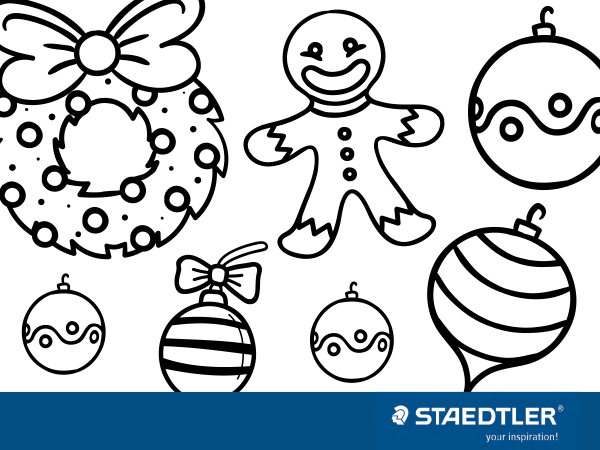 Get creative this festive season! Make your own Christmas card with this free print out! 1. Download the image here and colour it in. 2. Paste the page on cardboard. 3. Cut out each individual picture. 4. Make a hole in the top and put a loop of ribbon through. 5. Hang on your tree and admire your handiwork.